As the year comes to a close, India’s Largest Online Store‎ e-commerce business Amazon has announced the best of Amazon Prime Video 2018, highlighting how the company’s program has evolved and what the Amazon Prime members loved this year the most. One of the highlights of the Amazon Prime Video in 2018 was the company made the service available to six regional dialects such as Kannada, Tamil, Telugu, Marathi, Bengali, and Hindi. Later in the year, Amazon Prime Video also introduced Hindi, Tamil and Telugu user interfaces which included navigation, the browsing, and customer support, in a bid to offer a more localized experience to its customers. 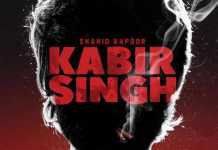 The three most binged Indian Prime Original series and the top Indian TV shows were Mirzapur, Comicstaan and Breathe. The top cities in India that streamed the most hours of Prime Video were Bangalore, Hyderabad, Mumbai, Delhi. The company also announced two most binged Prime Original series worldwide were Tom Clancy’s Jack Ryan starring John Krasinski and Homecoming starring Julia Roberts. 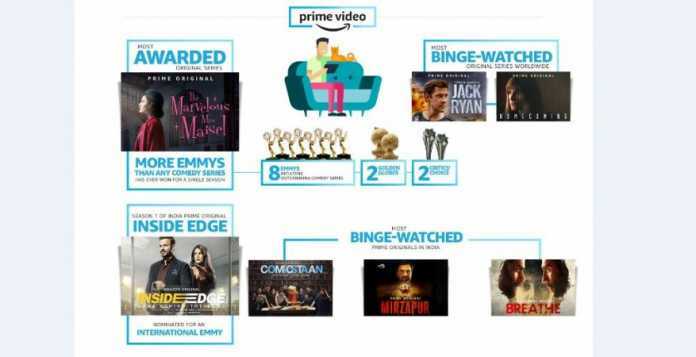 The company added that Amazon Prime original Inside Edge became the first Indian Show from the online Video streaming industry to be nominated for the 2018 International Emmy Awards. (Best of Amazon Prime Music 2018).